If you’re looking for a company that specialises in Commercial Signs, then you have certainly come to the right place. 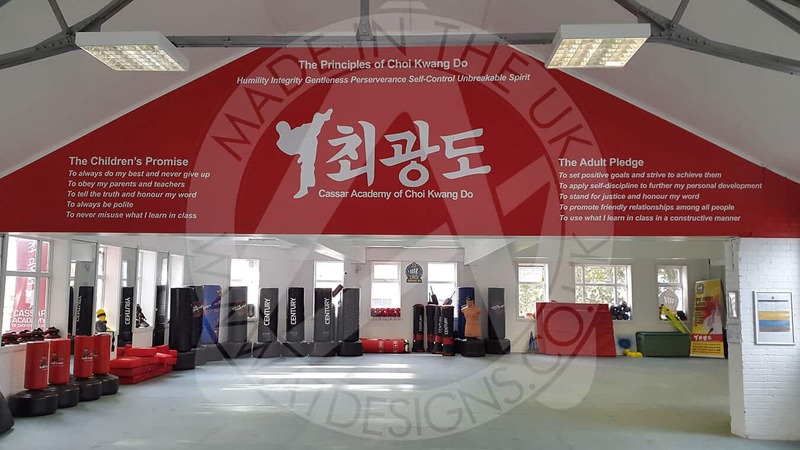 A1deSIGNS has an impressive portfolio of work we have carried out across London and the wider UK, and with that being said, we know we have the skills and expertise to help you create your perfect, commercial signage. Commercial signs are part of the comprehensive sign making service we offer here at A1deSIGNS, so make sure you get in touch if you have any questions to ask. Corporate, Industrial and Commercial Signage, when applied in the correct manner, will help a business or company to stand out in any industrial estate, business park, or city street. Commercial signs can make any client’s visit to your premises an impressive, pleasant and professional experience. 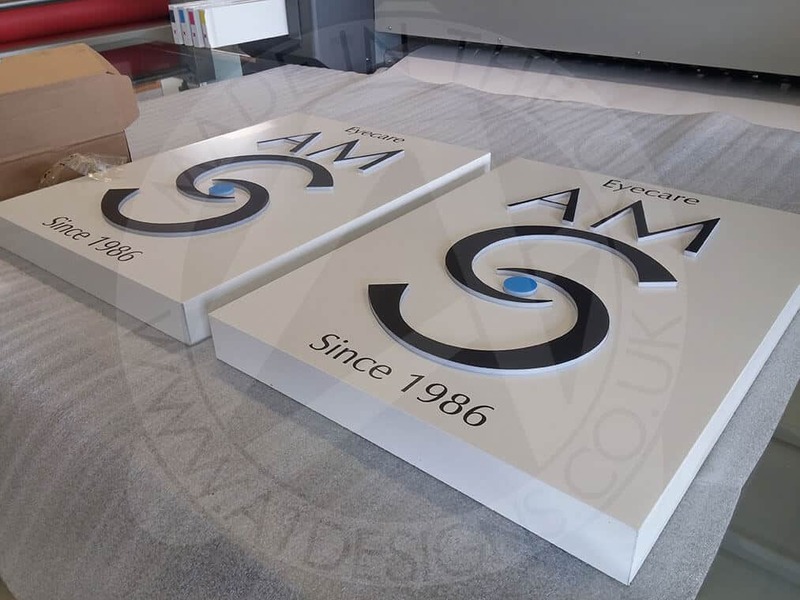 A1deSIGNS specialise in the design and manufacturing of signs including Commercial Signs and commercial neon signs, that will help your business or company stand out from the crowd and stay ahead of the competition. We can help with your brand management and commercial designs, the manufacturing and installation of any type of Commercial signs, Corporate, Industrial, or branded signage and much more, around your company premises. From the use of monolith signs to main entrance map signs, internal directory signage, Wayfinding schemes and individual door signs, A1deSIGNS can help create a coherent commercial signage and corporate branding scheme that portrays your business in the best possible way, allowing your client to find your company in any large estate or city – and their way round the largest of corporate buildings. 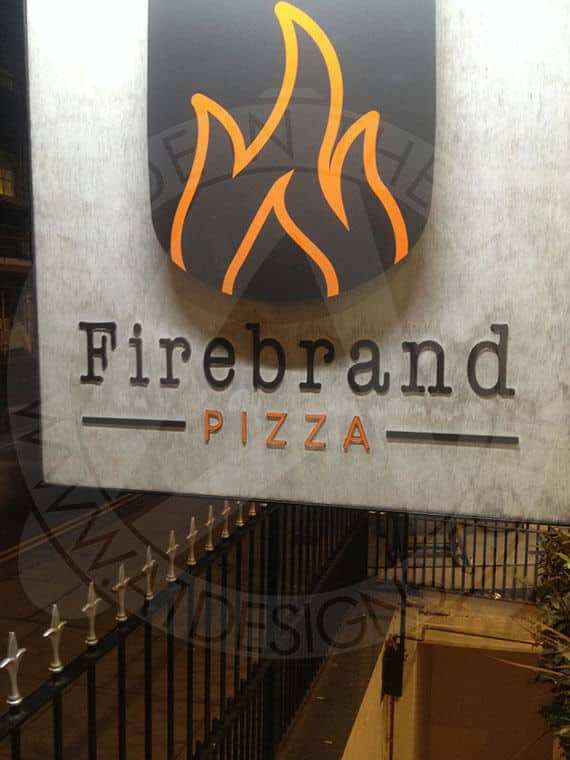 This range of materials available for your signage needs means that A1deSIGNS can professionally craft your Commercial Signs, helping you to achieve the look and feel that your company wants to present to your customers, clients, stakeholders and more. Colours of many of the materials that can be used to create signage, are viewable on our Colour Selector Page. From concept to completion A1deSIGNS will nurture your corporate branding solution. Commercial signage is applied by small to medium sized businesses that are not retail orientated, it puts across to your customers connotations of quality that matches the level of service that you are looking to provide for them. Commercial signage can portray a high level of professionalism and modernism to your visitors. A1deSIGNS can provide you with the help to make your commercial signage stand out. Selecting the right material is key to your commercial signage as each material can symbolise and emit different messages. Commercial signs made from quality wood can create a feel of traditionalism and professionalism, whilst using glass for your commercial signage can create a feeling of clinical or medical impressions as well as professionalism and modernism. Commercial signage can be used to enhance the interior of large corporations and make a statement on the outside of their headquarters or regional offices, showing the power and stature that the business has and making an awe inspiring impression that will last. We can help translate your brand guidelines throughout your building from way-finding to external signage, providing a corporate signage scheme that meets all of your expectations. Commercial or industrial signage helps your customers to identify you on any industrial estate, whether through the use of signage on the outside of the building or through the use of an industrial estate map, we can help you with your external branding or creating the layout of the estate. Whether you are looking for business signs, industrial signs or building signs, we can work closely with you to get things right. The design of your commercial signage is extremely important. It can play a key role in your brand, telling people who you are, or can help in the daily operations of your business. Directional and promotional commercial signs, for example, can help customers find their way to what they need or point them in the direction of your special offers. Why Choose A1deSigns as your Commercial Signage Supplier? As experts in the design and manufacturing of commercial signs, A1deSIGNS can help you with all your business signage requirements, whether you need internal signage or signage for the exterior areas of your commercial building or area. We can gather all ideas from the outset and work together to the get the design of your commercial signs right, from the beginning. Our initial consultations will involve talks about the different sign options available and how we will go about making it for you. At this stage we will discuss the ways we can create commercial signage that will benefit your business and the different methods of applying it to your working environment. 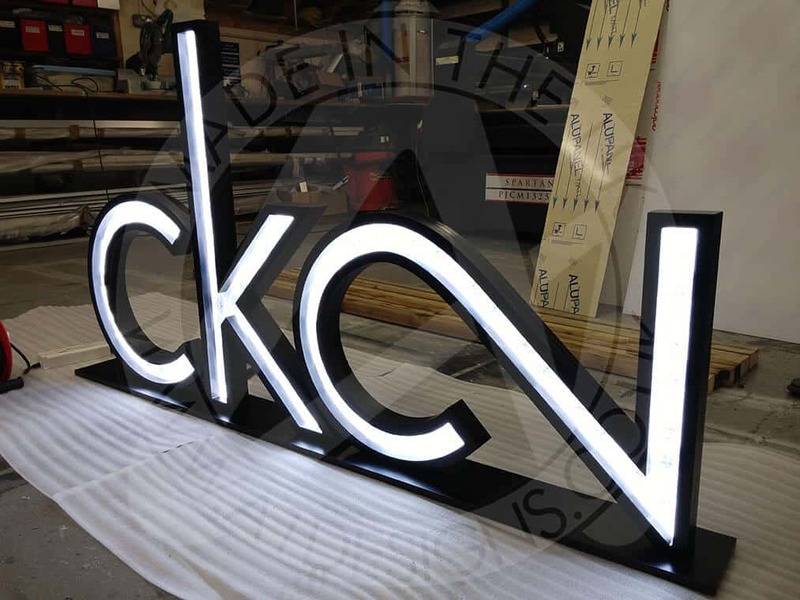 Although commercial neon signage plays a fundamental role in everything we do here, we can design and manufacture a wide range of shop signs and commercial business signs. Our experienced commercial sign makers love taking on new projects, no matter how big or small they might be, and revel at the prospect of an exciting new challenge. Our commercial sign makers have the know-how to produce commercial signs to meet your requirements, we can advise on the materials to use and where best to use them. Contact us today for a free quotation or to discuss your need for indoor or outdoor commercial signs. Your commercial signage can include anything you would like from internal building signs to the main sign on the exterior or entrance to your business building. Your signage should include elements of your branding, your logo if you have one and can also include some information signs for the interiors of your business. Exterior commercial signage should mainly focus around your logo. How much do commercial signs cost? The cost of commercial signs for your business can vary and depend on a number of factors including; the type of signage you choose such as architectural, LED, Retail etc, whether your signs light up, the materials of your signs and the overall design of your signs. The more complicated the sign, the more time and resources are needed, which could also affect the overall price of your commercial signs. Do you have commercial signs for sale? We do sell commercial signs, but we do not sell ‘off the shelf’ signage. This is because we create bespoke signs for each customer and client that we work with. Each of our signs are specifically crafted for a specific company, business, building, and more. The most effective sign for your business depends on your business. For example businesses in London have to stand out above the crowd and often share a business building with other companies. In this case a Commercial sign for the exterior of their London base is the most effective. In areas of the country where external visual appeal is not so important, the interior reception/entrance area could be the most important in which case interior commercial signs are the most effective. How long does it take to create a commercial sign? The length of time I takes to create a custom commercial sign varies due to a number of factors such as the complexity of the design, the materials used in the design, whether the sign lights up, whether the sign in for internal or external use and more. All of these factors come with various production methods and materials that each ave there own associated time frame. Our team will be able o estimate a length of time, once you have set out your requirements. We will then rock with you to try and complete your signage as soon as possible.